The first competition film to attract anything like sustained applause from the press at Berlinale Palast this year, Italian entry 'Cesare deve morire' ('Caesar Must Die') follows a group of maximum security inmates - murderers, drug dealers and thieves, many on life sentences - as they put on a prison production of Shakespeare's Julius Caesar. Directed by brothers Paolo and Vittorio Taviani, it's difficult to define even if the festival catalogue confidently bills it as a straight documentary. Ostensibly we're given a behind the scenes look at rehearsals (in stylish monochrome) book-ended by footage of the final production (in colour), yet everything is a bit too elegantly staged and composed to make pure documentary a possibility. Use of sophisticated cinematic techniques, such as reverse angle shots, would also be impossible were the film not entirely deliberate. Then there's the inmates themselves who never stray from the frame or go off on conversational tangents that aren't at least of thematic relevance - frequently waxing philosophical about how the text relates powerfully to modern day life. Are the prisoners at least who they are claimed to be? Bereft of much additional explanation, I honestly don't know - that's one of the problems when faced with reviewing a film in a festival setting. I suspect it's a blend of fact and fiction, purposefully blurring the line between the two. In any case it's a very watchable film which doesn't outstay its welcome over a sensibly short running time. It's also buoyed by the fact that the various prisoners have entertaining and easily distinguishable personalities, providing equal amounts of laughter and pathos. 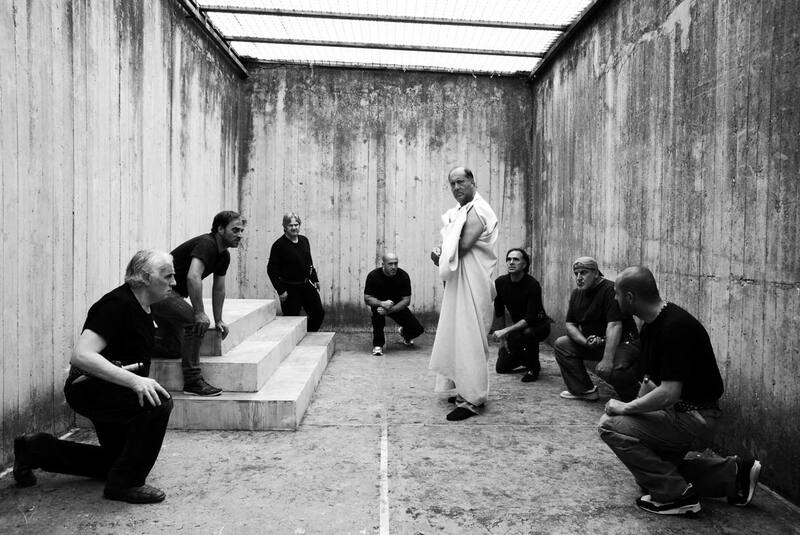 As the inmates bicker and contemplate their roles, there is also ample time given to the Bard's work itself as we hear Shakespearian language delivered in regional accents - reclaimed from upper class thespians with the effect of revitalising the material. Occasionally the film strains too hard to promote the modern day relevance of the play, but otherwise there is much to recommend it.